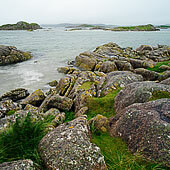 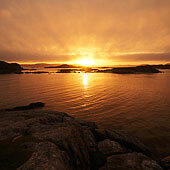 All photographs in this portfolio were taken within a stretch of few hundred meters at Fidden Farm campsite, overlooking the Sound of Iona. 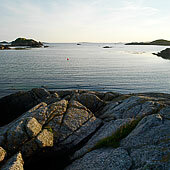 We were there for a few days. 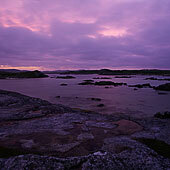 I show them in chronological order - including four different sunsets! 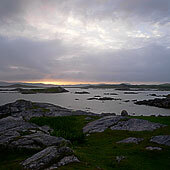 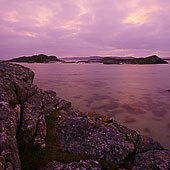 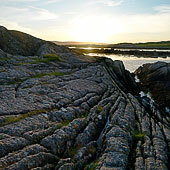 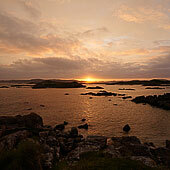 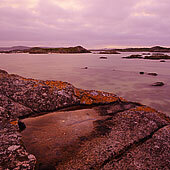 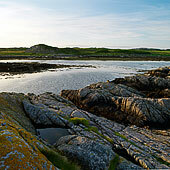 Fidden Farm Campsite is just opposite Iona, a mile south of Fionnphort. 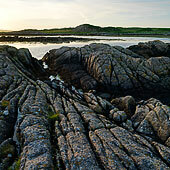 A nice spacy campsite with lovely views and an interesting sandy beach amidst rocky outcrops. 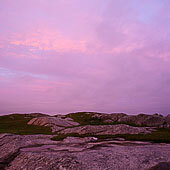 We had quite some rain while there, but often around sunset the clouds cleared. 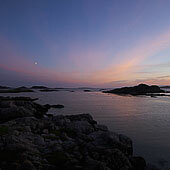 The light after sunset was sensational.